New research on memory indicates that even if new memories are gone from the awareness of Alzheimer's patients they are still in the brain and might be able to be recovered. This research caught my attention for a number of reasons. First and foremost, I noticed early on that my mother performed better and was more aware after I started exposed her to bright light daily. In the early stages of Alzheimer’s disease, patients are often unable to remember recent experiences. A new study from MIT suggests that those memories are still stored in the brain. 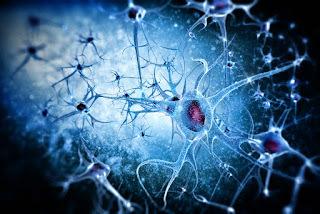 The researchers were able to induce a longer-term reactivation of the lost memories by stimulating new connections between the entorhinal cortex and the hippocampus. To achieve this, they used light to optogenetically stimulate entorhinal cortex cells that feed into the hippocampal engram cells encoding the fearful memory. I have written extensively about the importance of bright light in dementia care. And, how I used bright light to improve my mother's behavior. Any improvement in behavior can make a big difference in the life an Alzheimer's caregivers. For certain, you can lead a less stress and anxiety filled day. I learned that bright light can have a positive effect on persons living with Alzheimer's disease; and, there was already existing research outside of Alzheimer's that bright light does have a positive effect on the brain. Bottom line. I started taking Dotty "into the light" daily and her mood and behavior improved. I considered this one of the most important aspects of our daily routine. Did the bright light help her remember? Did bright light help slow the progression of Alzheimer's? Maybe? Along with the bright light we were getting exercise, socialization, and vitamin D.